Our friendly taxi driver/tour guide brought us to the parking lot reserved for the memorial visitors. He always took a nap in the car, while we visited the sights 🙂 . 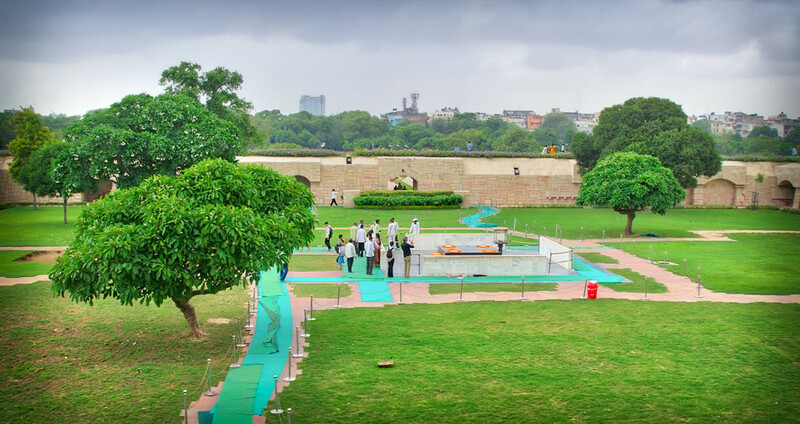 Raj Ghat is located in a beautiful park landscape, after a short walk, you see the buildings of the monument. You have to put off your shoes and then walk on green mats to the memorial. It’s a silent and prayerful place, and you should take some time to remember Mr. Gandhi.